Jessie Devine is the Community Engagement Manager for QuoteWerks and joined the team in 2014. As the Community Engagement Manager for QuoteWerks she is responsible for engaging partners, marketing, business development as well as event planning and management. Devine attends dozens of tradeshows a year for speaking engagements and representing QuoteWerks at the events. Devine spearheads the QuoteWerks User Summit and revived the QuoteWerks training program and continues to lead, direct, and manage all aspects of the in-house and roadshow trainings. She currently sits on the Executive Council for the CompTIA Future Leaders Community and was recognized as CRN 2017 Women of the Channel. 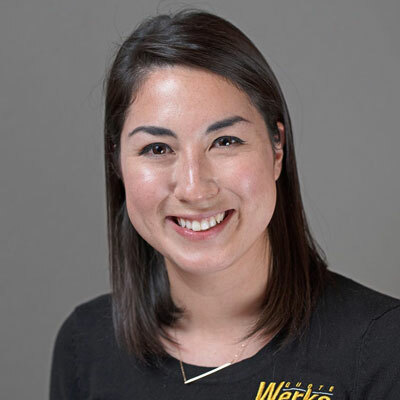 Previous to QuoteWerks, Jessie has managed several trade associations and was a Business Development Specialist for a local company based in Orlando, FL. She received her B.S. from Florida State University studying Event Management. As Community Engagement Manager, I attended dozens of events in 2017 evangelizing QuoteWerks through speaking engagements, training programs and trade shows in North America. Participating in these events has allowed QuoteWerks to have a continued presence in the Channel as the leading quoting and proposal solution in the industry. Having boots on the ground has given me the opportunity to hear first-hand the needs from thousands of our users and prospect on how we can evolve our solution. In addition to being a "road warrior," I have expanded our training territory to cover Canada as well as new locations in the US. Because of the success of these training programs, I am now leading our very first QuoteWerks User Summit. I manage all aspects of the QuoteWerks User Summit from planning, marketing, content development, all the way through execution of the event. Due to successful marketing of the event, the QuoteWerks User Summit is already sold-out well before the registration deadline. My goal in 2018 and every year for QuoteWerks will be to continue spreading brand awareness through different avenues. We will continue to attend trade shows and add new shows to expand our market, and add new locations for our training events in North America. Most importantly, my goal will be continue to grow our QuoteWerks User Summit for the second year. In 2017, I received the Women of the Channel award for my commitment and value I have added to the Channel. There are so many women that I admire, but if I had to choose one it would be Sheryl Sandberg, COO of Facebook. She is an incredibly smart articulate woman that is honest in her feelings of leadership and the struggles that come with being a female leader. She has created a movement to empower and support women, and I find that awe inspiring. Never doubt your value, and always give 100%! If I could master any new job-related skill, I would love to be able to be able to write code. Many users ask about our API and the calls it makes, and I would love to be able to discuss the capabilities that our solution could offer in depth. The best book I read this year was "When Breath Becomes Air" by Paul Kalanithi. This memoir truly inspired me to live life to the best of my ability. Kalanithi makes you think about how to live it with meaning. While it is a small book, it is incredibly powerful and moving.